The families that established POPS set the example for all those who have followed, identifying the issues and finding the solutions. Whilst there will always be vulnerable families who need us to advocate on their behalf, for many it is simply a case of helping them to find their voice in a system which can leave you feeling stigmatised and disempowered. At POPS we give families a voice, not just as passive consultants but by integrating families into everything we do. We aim to provide families with every opportunity to get involved, starting with the option to sign up to POPS’ Family Information Network or ‘FIN’. The FIN provides regular updates and information on up and coming events, research projects and other opportunities to families regardless of what stage in the criminal justice process they find themselves. The FIN acts as a central hub for all members of POPS’ family forums. Family forums are a local expression of the FIN, enabling families to meet on a regular basis to identify current issues and develop solutions. We believe that with the right support families can be the answer to their own problems and have an important role to play in the rehabilitation and resettlement of the offender they support. 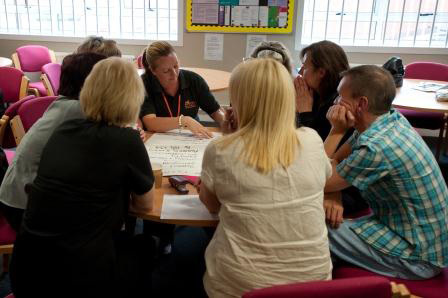 Family forums connect families and facilitate constructive peer support, as well as involving families in the development of family-led resources including information flyers and DVD guides. 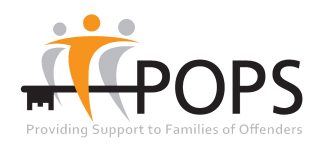 In addition POPS’ family forums provide opportunities for families to engage in research or direct dialogue with senior figures such as prison governors and politicians. As part of our monitoring of the work we undertake, we gather a lot of information about the issues facing families and the support they require, which helps drive our project development and the areas we put before the policy forums we influence. Our focus on user engagement ensures POPS’ services are reflective of families’ needs and adaptable to change. As a charity founded by offenders’ families we believe passionately in offenders’ families helping other families and encourage family involvement in all elements of our work from service delivery to membership of our Board of Trustees. Want to get involved? 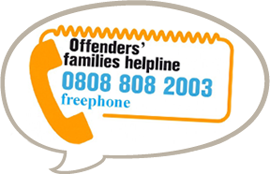 Contact us on 0161 702 1000 or by email mail@partnersofprisoners.co.uk.